What Electric Bikes Are The Best For Commuting? With growing trends for fitness and environmentalism, many people are ditching their petrol fuelled cars and motorbikes in favour of a greener alternative: e-bikes. However, there are many other advantages to riding an e-bike which may not seem immediately obvious. By riding an e-bike instead of driving a car, you can save a bunch of cash on anything from parking and petrol to road tax and MOTs. On top of this, you will be able to almost match the average city-speed of a car, whilst at the same time bypassing the traffic by whizzing down the bike lane. Although e-bikes are admittedly not as green as regular push bikes, they offer a great middle ground between cars and bikes which is encouraging many people off of 4 wheels and onto 2, which is no bad thing. Offering the best of both worlds, e-bikes allow you to gain a good level of fitness without showing up to the office drenched in sweat. With so many benefits, it’s easy to see why commuting by e-bike is a steadily growing phenomenon, which doesn’t look set to slow down any time soon. With electric bikes specs constantly evolving and improving, it can tricky to know what to look for in a good model. The truth is, no one shoe fits all, and the type of bike you opt for will depend heavily on the climate, roads, and terrain you plan to travel on. It will also depend on the distance you wish to travel and your ability to charge your bike in between rides. Charging times can range from anywhere between 2-8 hours, so if you plan to use your e-bike a lot throughout the day, you may need to fork out for one with a lower charging time to ensure you can go the distance. Each charge can provide anywhere between 20-80 miles of travel depending on the spec of the bike, so this is another key aspect you will need to take into consideration based on the length of your commute and your budget. As previously mentioned, different bikes fit different journey types, so here’s a look at city versus countryside commutes. 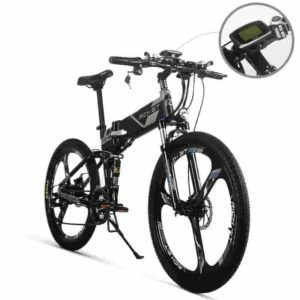 Electric Road Bikes – For city dwellers, an electric road bike is likely to be the best option. These provide an easy and streamlined ride that will get you to work in no time. Electric Utility Bikes – For those who have a tendency to take everything but the kitchen sink to and from work each day, then an electric utility bike could be for you. These offer the opportunity to transport loads of various sizes from A to B. Although they are a little heavier than a road e-bike, they are great for those who have a lot of equipment to carry back and forth. Ease of Transport – Unless you plan to travel door to door by bike, you may need to take into consideration the ease of storage of your bike. 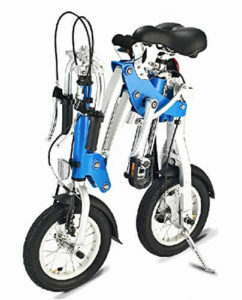 There are folding electric bikes on the market which make it easier to take them with you on public transport and makes them permissible to take on trains. You may also wish to opt for a lighter model, as e-bikes are difficult to carry at the best of times. Ease of Storage – If you’re a city dweller, the chances are that you’re strapped for space at home. This is another reason why folding bikes can be advantageous as they make for easy storage in tight spaces. It is also handy when you get to work, as you will require less storage space here too, meaning your bike won’t get in the way of your co-workers. Legal Limits – It is important to note that only certain bikes are legally allowed on the road. If you plan to take your e-bike on cycle paths and lanes, you will need to ensure that it adheres to strict government regulations on speed and power. 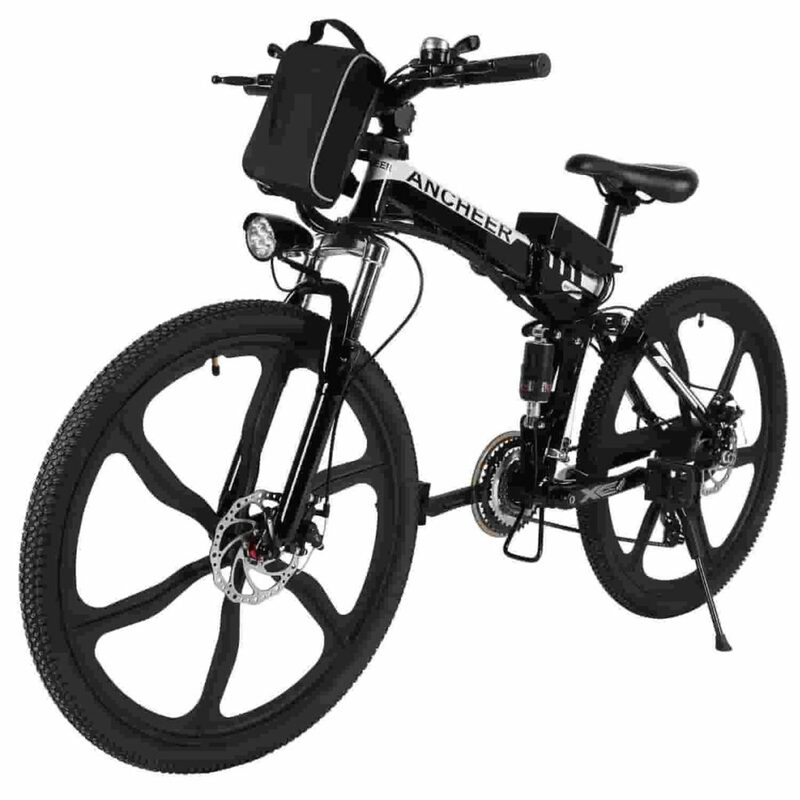 In the UK and EU, this entails having a motor with a maximum capacity of 250 watts and having a bike whose motor automatically cuts out when you reach the legal speed limit for e-bikes of 15.5 miles per hour. If you opt for a bike any faster or more powerful than this, it will effectively be rendered useless for your commute. Posture – if you’re travelling mostly on flat roads, then it helps to have a bike which allows an upright posture as this makes for more comfortable riding. Bikes which place the motor on the central point rather than the front or back hub can make for a more balanced ride in this respect. 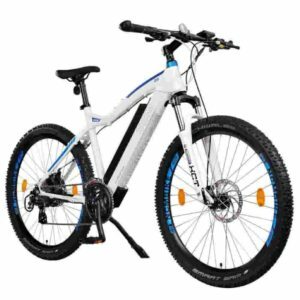 Electric Mountain Bikes – If you’re commuting outside of the city, then an electric mountain bike might be the right choice for you. These powerful bikes are capable of dealing with a wide range of difficult terrains and are capable of climbing steep hills with ease. Suspension – Another feature you’ll want to take advantage of if you’re covering rough ground is decent suspension, as this will allow you to have a smooth and comfortable ride. Strong Disc Brakes – Strong brakes will allow you to safely come to a halt, even when travelling downhill at high speed, making them a good idea for hilly areas. Speed – If you happen to avoid travelling on public roads during your country commute, you may stand to benefit from some of the faster models which exceed government speed limitations, such as e-bikes with throttle. Just beware that these are not legally allowed on the road, but only on private land. Is it capable of completing your commute without running out of battery? Is the battery rechargeable within the timeframe that you are at work? Is it legal for the route you are planning to travel on? Is it capable of handling the terrain you will be travelling on? Do you have the space to store it? Once you have answered all of these key concerns, the rest will be down to personal preference, comfort and budget. Whilst the higher spec models with low battery charging times and high distance capabilities may be preferable on paper, they can be significantly more expensive than a lower spec e-bike which may be capable of doing the job perfectly well. In the end, the decision is down to you!